One of the many considerations to be made in the wake of a horrible tragedy is how do certain studios remain respectful to the situation without knee jerk reacting to heightened public outrage. It is a fine line that Warner Bros. now has to walk in the aftermath of the Aurora Colorado shootings. Gangster Squad is a film that was supposed to have a trailer play in front of The Dark Knight Rises. However, due to a specific scene in the trailer of gangsters shooting up a movie theater it was rightfully pulled. Now Warner Bros is taking things one step further and are scrambling to re-shoot the scenes involving the theater shooting altogether. One date the studio is looking at is Jan. 11. Before making a final decision, though, the studio is currently looking at several factors, according to sources, such as how quickly the cast can be reassembled for the reshoot, concerns about cast availibility to do press in January and the competition on the calendar. Here is the fine line for Warner Bros, moving the release date is respectful, re-shooting a climactic scene that parallels the tragedy might be going to far. It is hard to say sight unseen, but hopefully the integrity of what seems like a good movie remains intact. 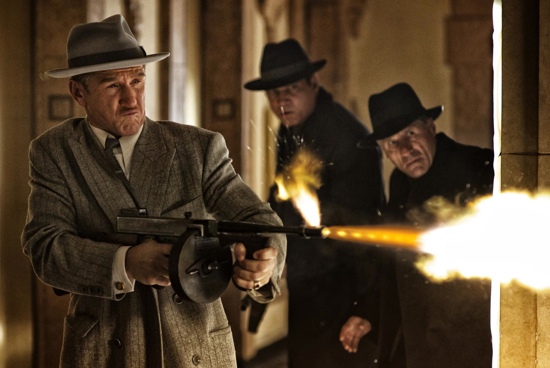 Stay tuned to The Flickcast as news on Gangster Squad solidifies we will keep you informed.